TOOWOOMBA residents have donated more than $311,000 to 277 local Go Fund Me campaigns since the site started operating seven years ago. Go Fund Me takes 6.75% from each donation, meaning the organisation has collected at least $20,800 from Toowoomba campaigns since 2010. ARM Newsdesk research reveals that Toowoomba-based appeals for cash cover everything from organ transplants to bodybuilding, cancer, sick kids and injured pets. The region's most successful campaign is Zoe Grace Chisholm in which 409 people gave $34,720 to help the family of a baby born with serious health problems. The goal for this fundraiser was $50,000. Other successful campaigns included Let's All Rally for Troy in which 47 people donated $17,200 of a requested $20,000 to help a man who was diagnosed with cancer. Support for the Davies Family raised $16,800 to pay for a funeral and other expenses following the death of Joshua Davis. Filling Up Jake's Bucket raised $15,600 for a young man with cancer, Baby Lincoln's funeral expenses collected $14,500 for a family who lost their infant son and people donated $13,600 to Karlie and the Kids, a fund set up to support a family who lost their husband and father. Only nine of the region's Go Fund Me pages have raised more than $10,000, 47 pages raised up to $10,000 and 82 raised $5 to $1000. About 139 Toowoomba Go Fund Me pages have no donations. Consumer group Choice says potential donors should do a bit of research before shelling out their cash when they see a plea for help, just in case it was a scam. "As a consumer, if you're planning on putting your money into a project you do need to do your homework," Choice spokesman Tom Godfrey said. "The onus is very much on you because there are very few legal or other requirements on the person actually asking for the money." Mr Godfrey also suggested donors and site creators make sure they were across the fees charged by crowdfunding sites. Danielle Logue is one of Australia's leading experts on crowdfunding. 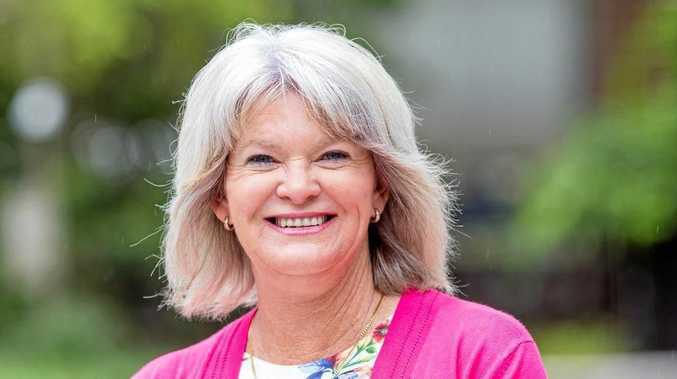 Dr Logue said Go Fund Me-type fundraising campaigns were popular because they allowed generous Toowoomba residents to "connect" with causes on a personal level as opposed to being "mugged" by street collectors. "The whole model of giving is shifting," said the University of Technology Sydney management discipline group senior lecturer. "Ease is one of the reasons why they're successful. "People are becoming more familiar with, and trusting of, donating online. "Campaigns are set up to provide you with that individual connection and to provide ongoing feedback of how the cause is going. "What we call chugging - that is the mugging for charity form of fundraising strategy - turns a lot of people off, unlike these campaigns." USING Go Fund Me to raise money for a pet project can be tempting but sometimes internet trolls and bullies destroy the best laid plans. This is something Toowoomba photographer Edwina Robertson-Cuninghame found out the hard way when she decided to raise $30,000 for a project in which she plans to travel Australia photographing our nation's "unsung heroes". The young wedding snapper asked Aussies to donate cash to pay for an old 4WD and equip it with air-con, a satellite phone and other safety gear. But she was forced to shut the Go Fund Me page down after she was bullied by trolls. "I have been trolled (bullied online) about this particular campaign," she wrote on the campaign page. "Unfortunately, ill informed followers have had the tenacity to be heroes behind their keyboards and have attempted to slander the project and my name as far and as wide as they can. "It's nasty, toxic and taking away the energy that I should be giving to keep the project going. "The absolute last thing I would want anyone to believe is that I am a parasite, having a holiday funded by others, an e-beggar or a pan-handler." Ms Robertson-Cuninghame told ARM Newsdesk she has been planning her three-month Wander of the West project for about two years. "It is very expensive to do, particularly as I won't be working while I'm on the road," the 31-year-old said of the project that will "ultimately" give back to rural communities. "The GFM donations will help me pay for a car that's suitable, but after the project I'll sell the car and the equipment and give the money to the Royal Flying Doctor Service." Ms Robertson-Cuninghame said she chose Go Fund Me because it was "more commonly known", it had cheaper fees and a "broader reach of people". "I put a video on the page to tell the story of why the money is being raised," she said. "I wanted to be a little bit different to other campaigners. "It's actually really hard for me to ask for money because I am so independent. "I struggled personally with asking for this money." TOOWOOMBA residents raising money through Go Fund Me have no need to worry about tax implications unless they provide a product or service in return for donations. Certified Practising Accountants Australia tax policy head Paul Drum explained money donated to personal causes, such as helping a family member in crisis, would be seen as a gift by the Australian Tax Office. Mr Drum said this meant the money did not need to be declared when completing tax returns. He said there was a downside though as contributors could not declare their donation in their tax returns unless the organisation receiving the cash was a deductible gift recipient. Mr Drum said entrepreneurs seeking donations in return for a share in a proposed business or an actual product did face tax implications. "If for example you said 'I've invented a new motorcycle helmet and if you give us money to get this to market we guarantee you'll be one of the first people in the world to get this new helmet', then you're selling a helmet in a way. So there are income tax implications because this is business oriented." The Federal Government was forced back to the drawing board when 12 months ago when its Corporations Amendment (Crowd-Sourced Funding) Bill failed to make it through Parliament, with Labor claiming it failed to address stakeholder concerns. THERE are a number of internet-based crowdfunding sites operating in Australia. Go Fund Me is the site most individuals turn to raise money for causes that impact them directly - such as helping a sick mate or collecting money to send a child to a sporting event. The site describes itself as "the world's largest social fundraising platform" and claims to have collected more than $3 billion from more than 25 million donors. Chuffed.org and Start Some Good target people and organisations wanting to raise money for community-based social enterprises such as housing for the homeless. Pozible.com, Kickstarter.com and IndieGoGo.com are popular with budding entrepreneurs who want the community to fund projects such as music albums or business start-ups. These three sites also provide a platform for individuals to raise money for personal projects such as helping mates or family through tough times. All of the crowdfunding sites charge fees. Go Fund Me, for example, takes a total of 6.75% from the donation pool before it is released to the page creator. Pozible collects 3-5%, depending on the amount raised. It also charges 2.4-3.4% plus 30c for each credit card or PayPal transaction; and it has a bitcoin charge as well. Kickstarter keeps 5% of all funds raised plus it collects 3% and 20 cents for each credit card transaction. StartSomeGood.com takes 8% from donations and IndieGoGo collects 7-12%, including credit card charges. Unlike the other crowdfunding sites, Chuffed.org campaigners do not pay any fees, instead donors pay 2-2.9% plus a 30c payment processing fee when they contribute to a cause.